PPC Gas Tank Sealer has superior strength and fuel resistance, and does not contain Methyl Ethyl Ketone, a highly flammable and deadly carcinogen (cancer-causing). "Not affected by E10 and any current fuel blends. Tried and tested for many years" 99.9 % of failures are an application problem. 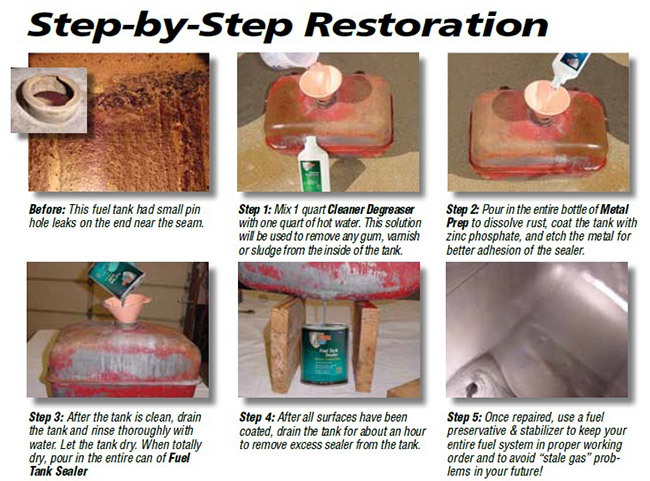 PPC Fuel Tank Sealer is the toughest, non porous coating, flexible coating made. Forget zinc chromate and rust inhibitors. The only way to stop rust is to keep moisture away from the metal. Only a non porous coating can keep moisture away from metal. And we make the only one that's been tested and proven to work with all fuels, including ethanol & methanol. It has superior strength and fuel resistance and is non flammable. 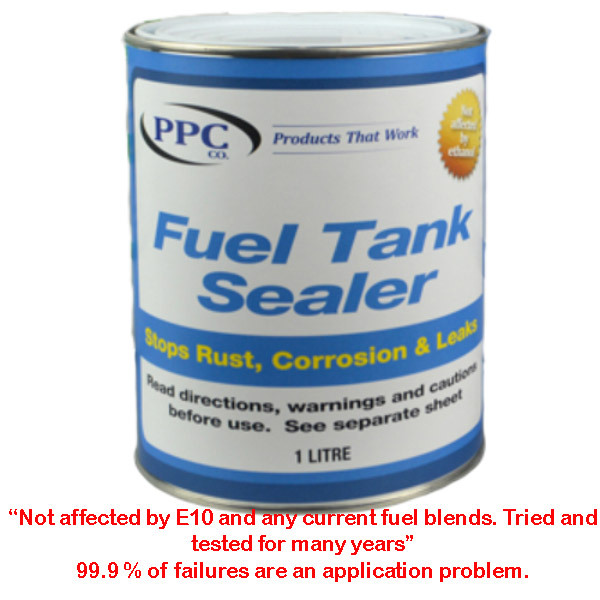 Though for any tank sealer to work properly the tank must be free of contaminants, hence we usually sell this product as part of our money saving kits. Totally effective with New Australian blended (ethanol) fuels. ▶ 1 litre is capable of sealing a 100 litre tank. Maecenas sodales arcu est. Ut at nibh velit. Aenean tristique mauris vel eros aliquam sollicitudin. Cras tempus iaculis nisl nec adipiscing.